Meghan Harrison is a Director of Business Development for Jackson Hewitt Tax Service where she trains and supports new franchisees. During her 12-year career with Jackson Hewitt, she has served in a variety of roles including Senior Operations Director where she was responsible for operational and financial performance of 200 company-owned offices and support of 60 franchisees consisting of 500 locations. 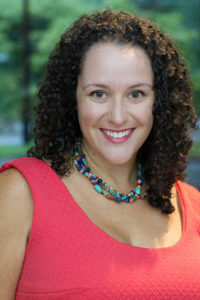 Meghan earned a Masters in Business Administration from University of New Mexico and a Bachelor’s degree in Biology and Music from Rutgers University. Meghan volunteers at her children’s schools, sings in the choir at her church, and runs half marathons (still trying to find that “runner’s high”.) Meghan lives in Dunwoody, with her husband, David, their three sons – Timothy, David, and Sebastian, and dog, Aveda.